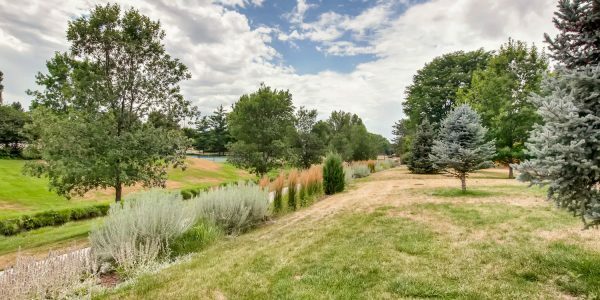 Serene setting backing to an expansive greenbelt, in Georgetown Village. 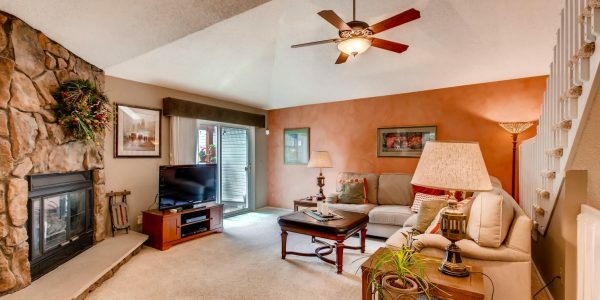 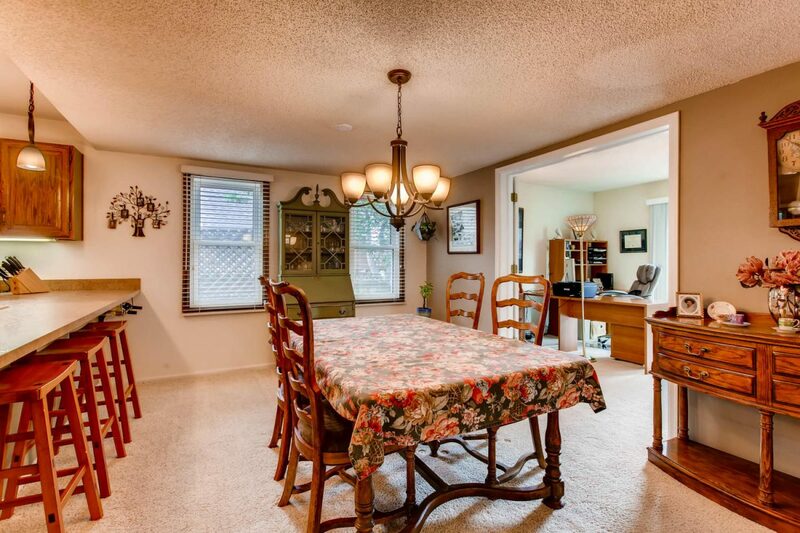 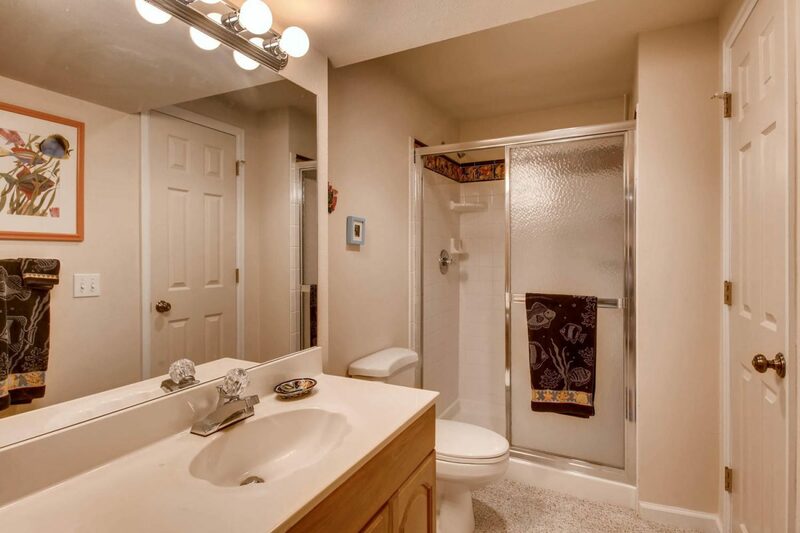 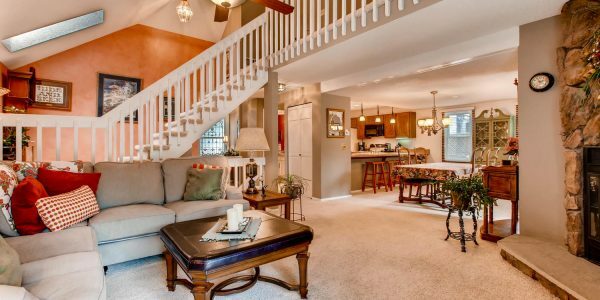 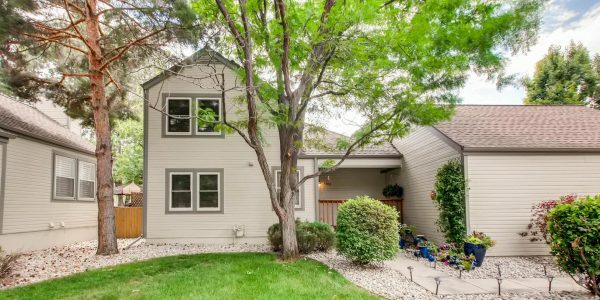 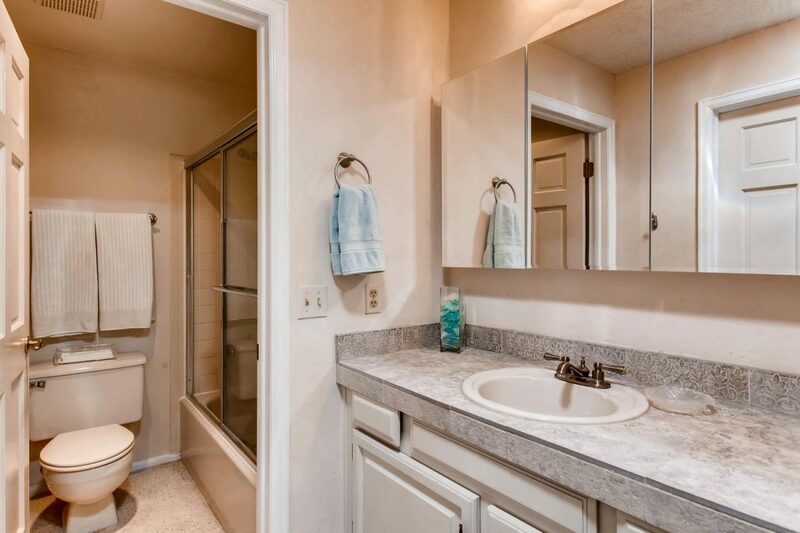 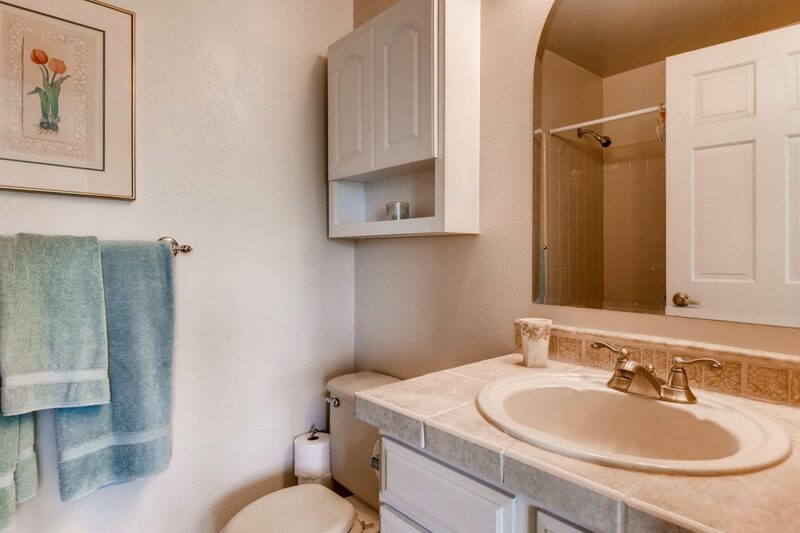 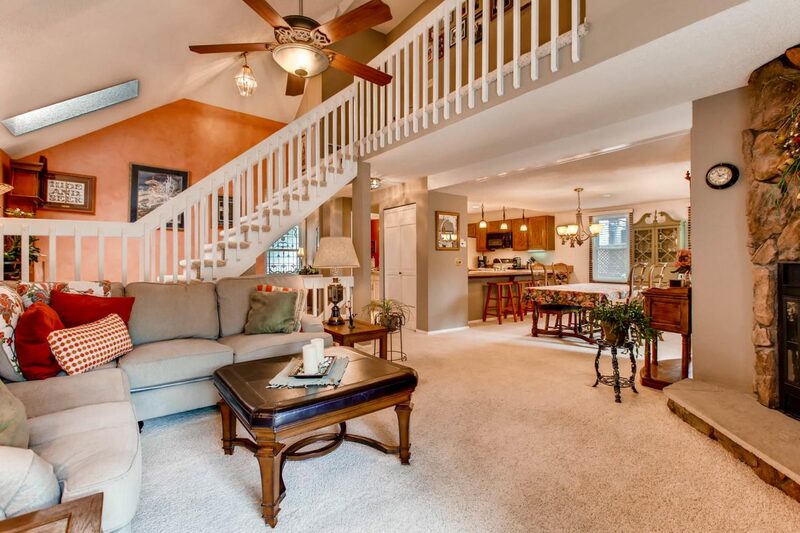 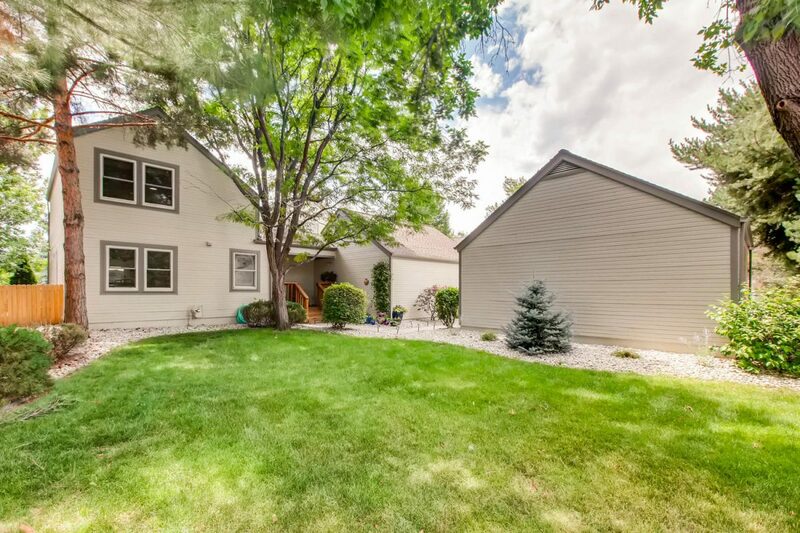 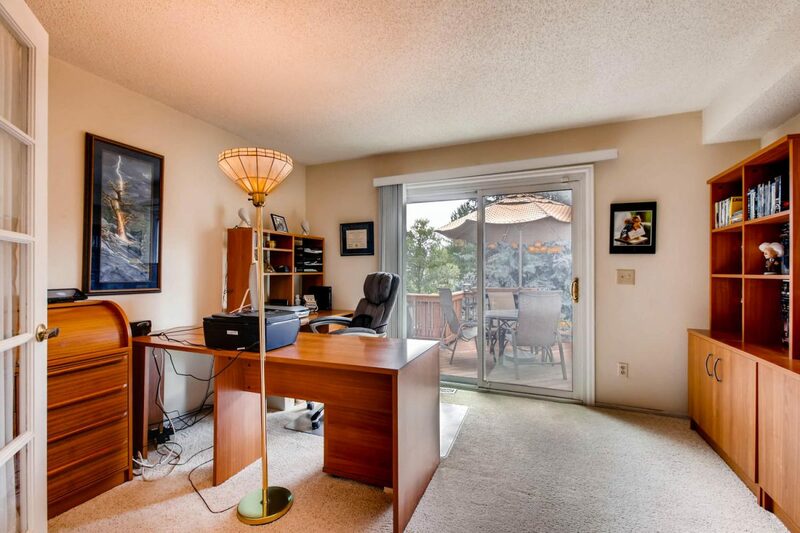 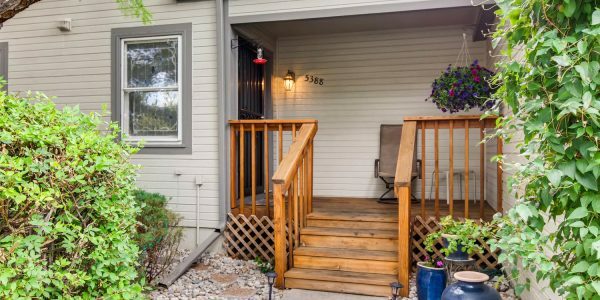 Spacious end unit with an open floor plan and tons of natural light. 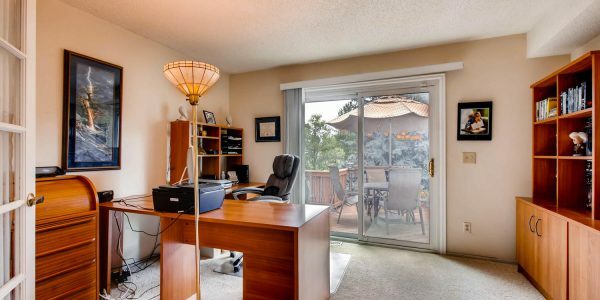 Two large sliding glass doors, in the main floor study and living room, open to a large deck, brick patio and a garden oasis. 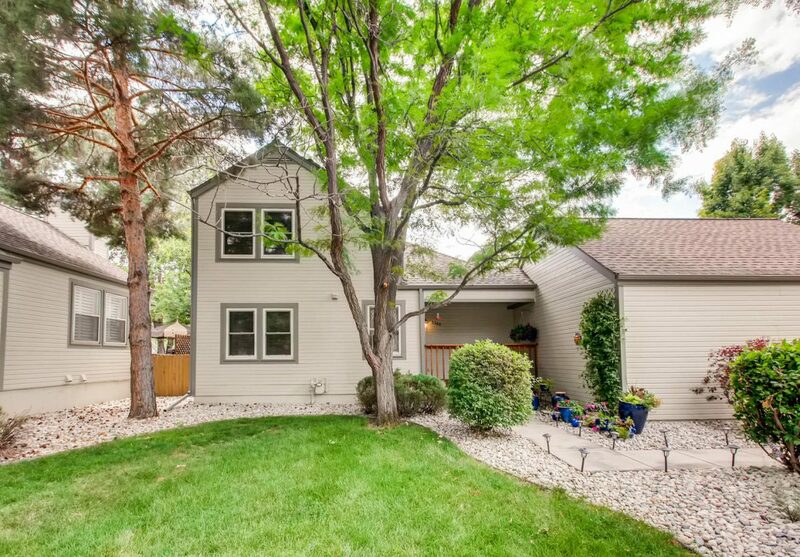 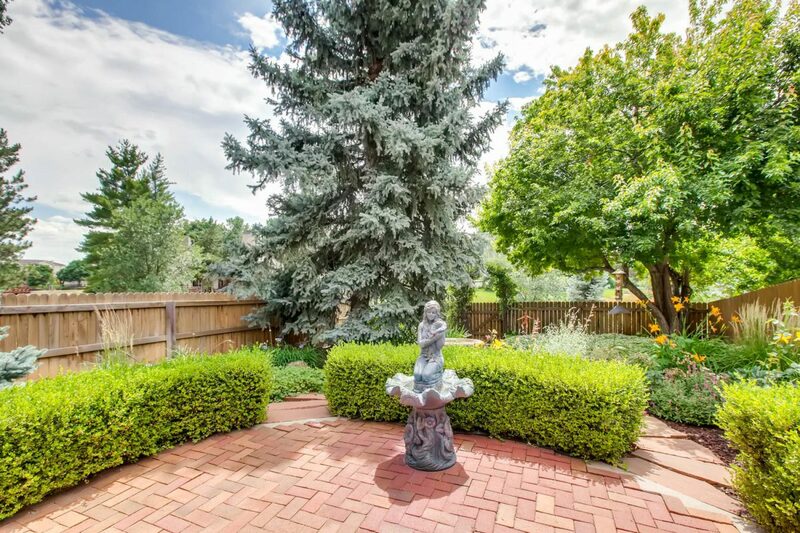 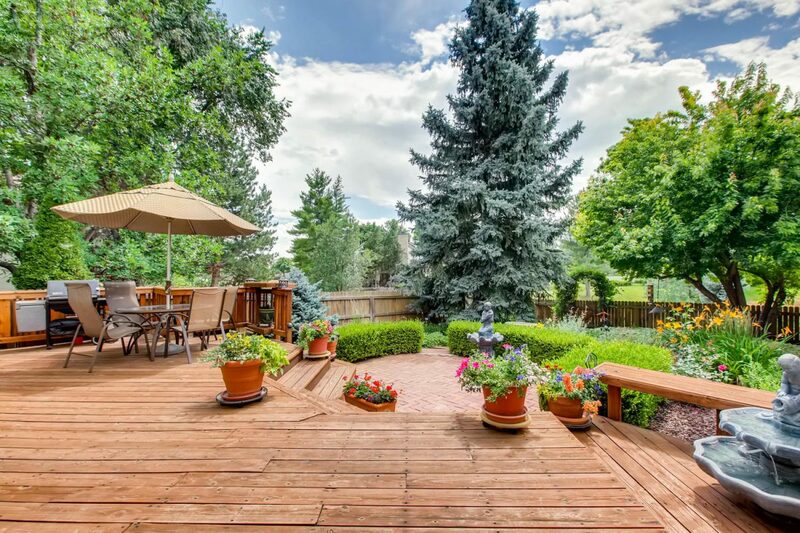 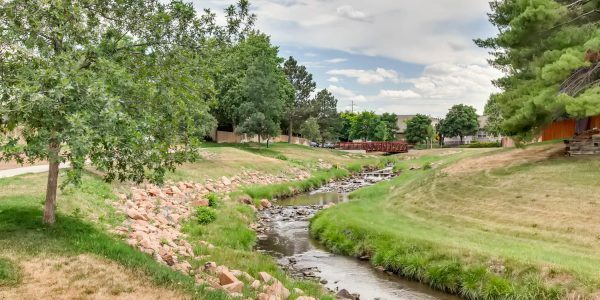 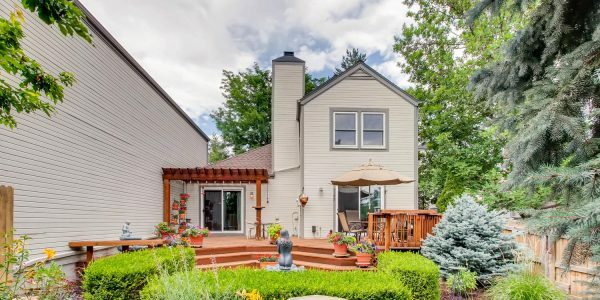 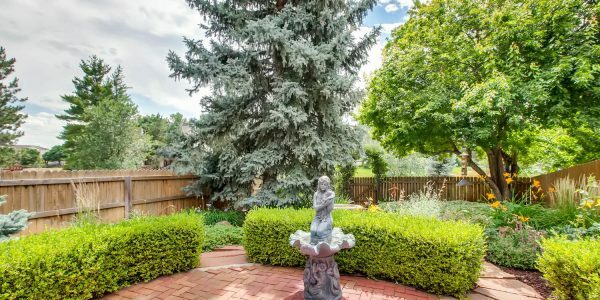 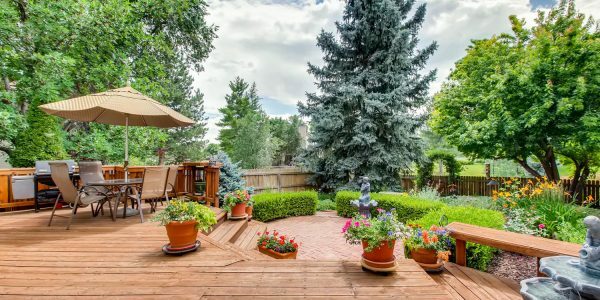 The private backyard overlooks a large greenbelt with Little Dry Creek flowing through the greenbelt. 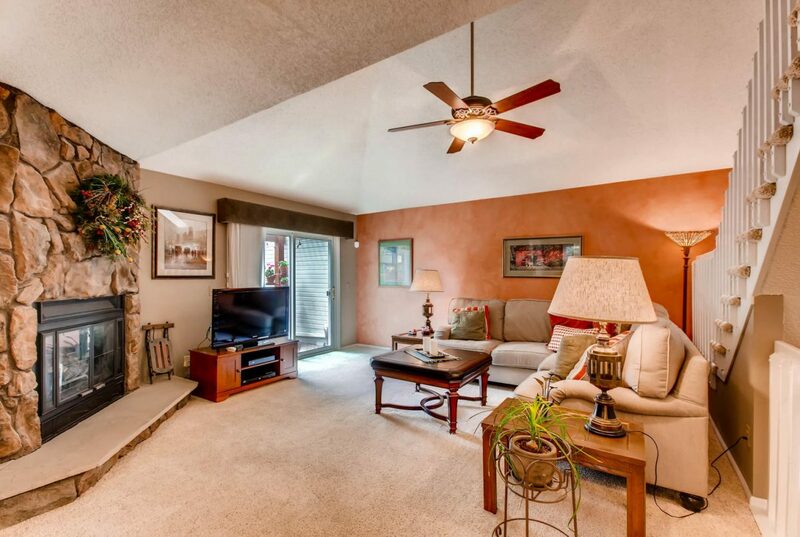 An open living room has a vaulted ceiling, natural stone gas fireplace, skylight and lighted ceiling fan. 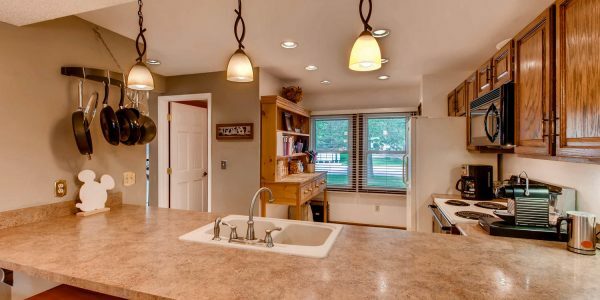 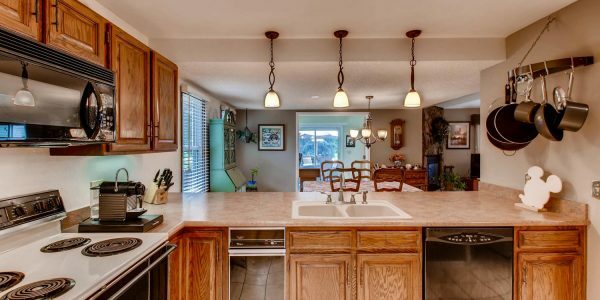 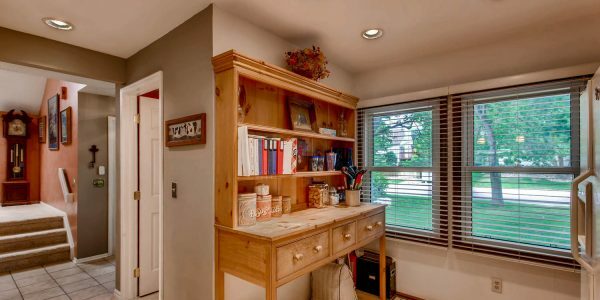 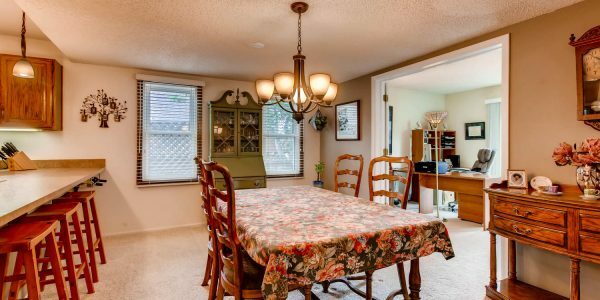 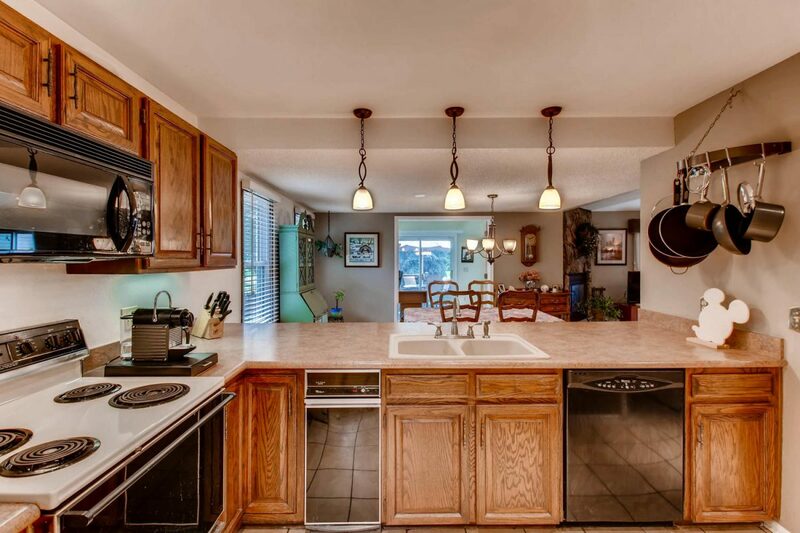 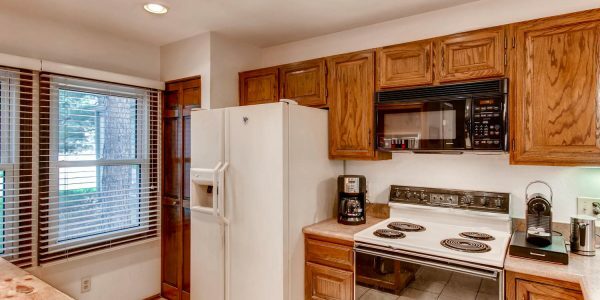 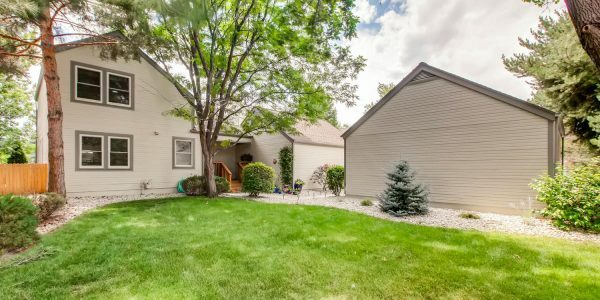 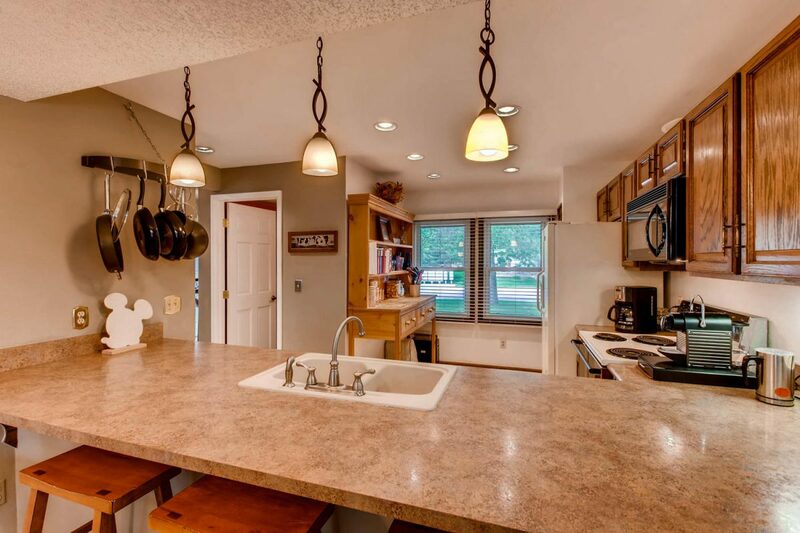 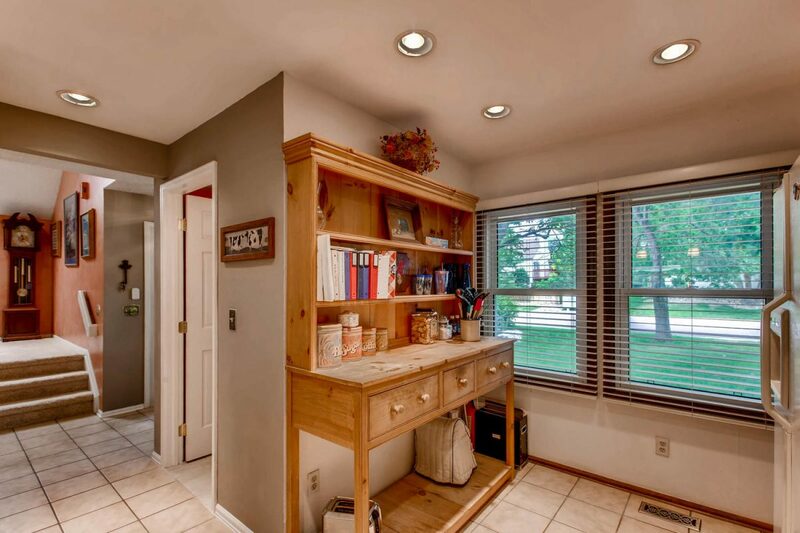 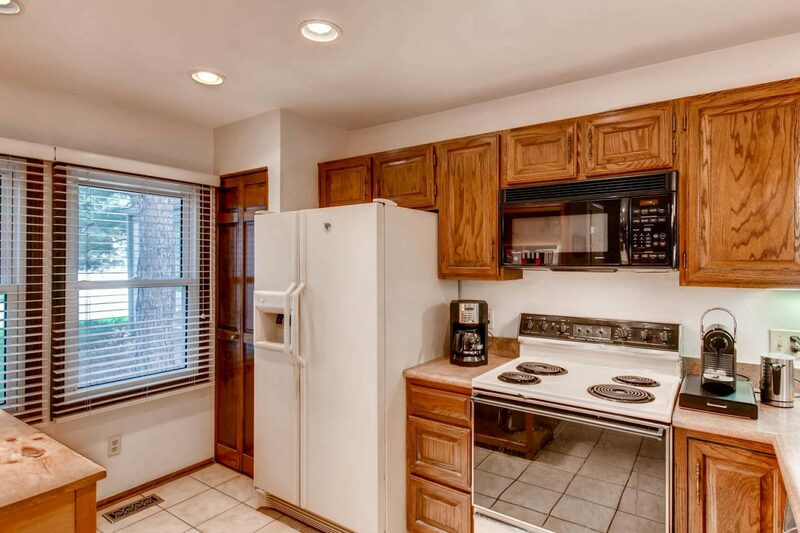 A roomy kitchen with recessed and custom lights, newer countertops, microwave and a pantry closet. 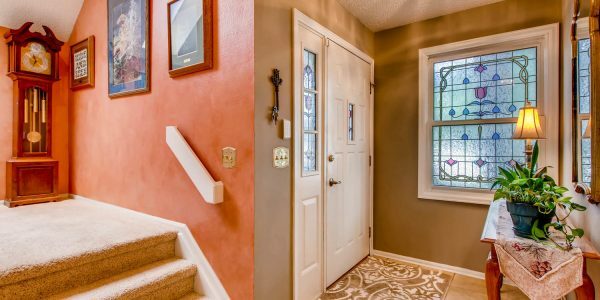 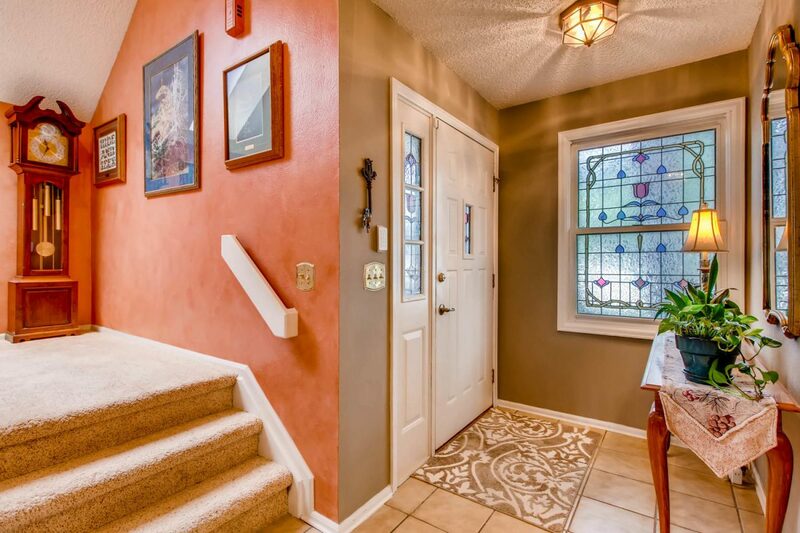 Numerous upgrades include newer windows and sliding glass doors, newer furnace, wood blinds, French doors and leaded stained-glass windows. 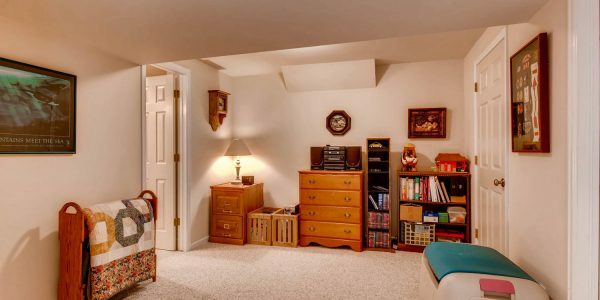 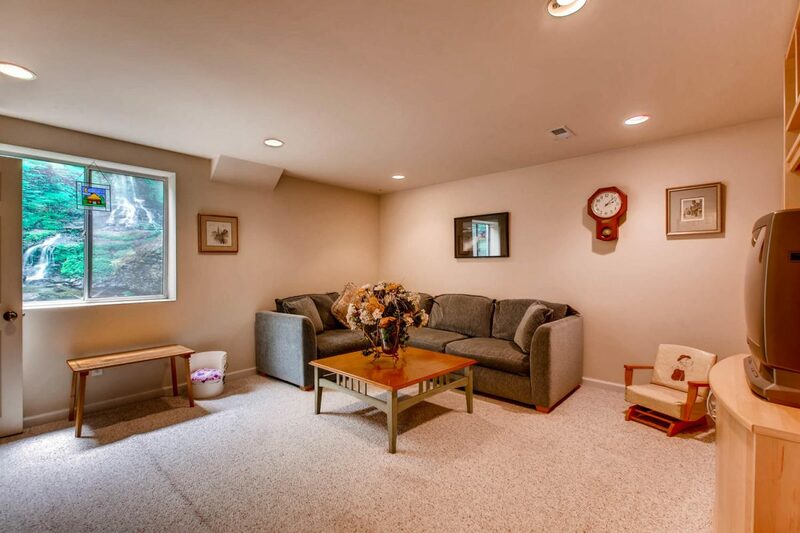 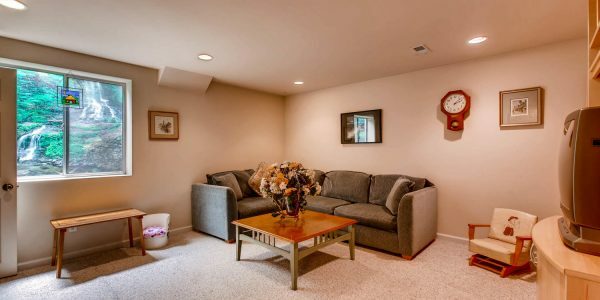 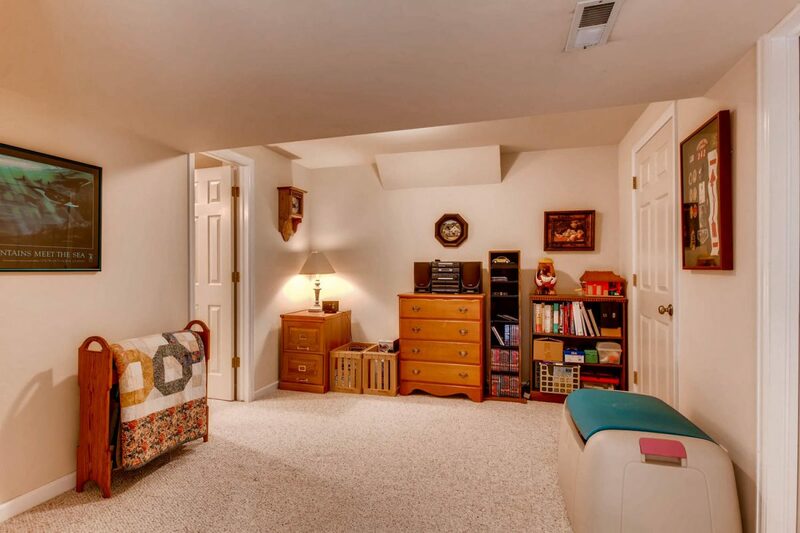 A finished basement provides a third bedroom (non-conforming), recreation/media room and a three-quarter bath. 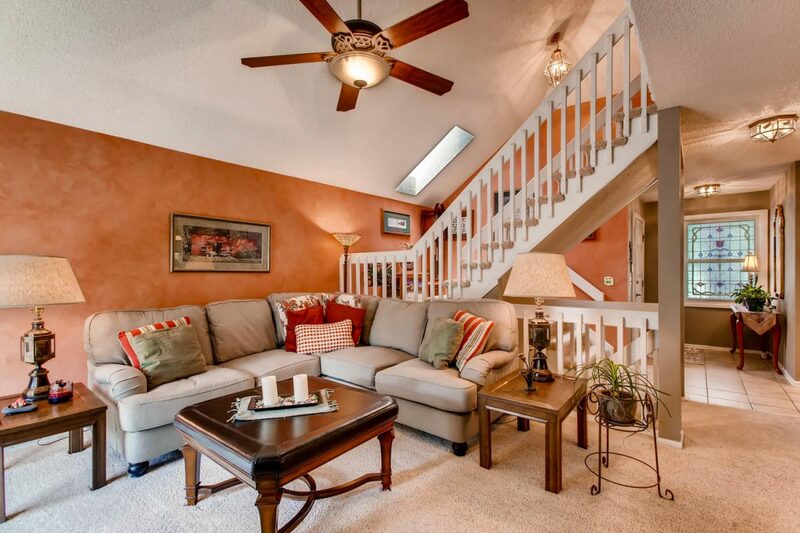 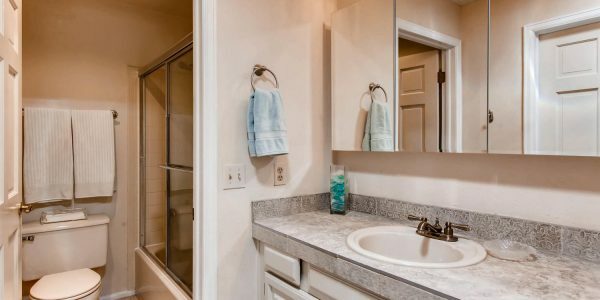 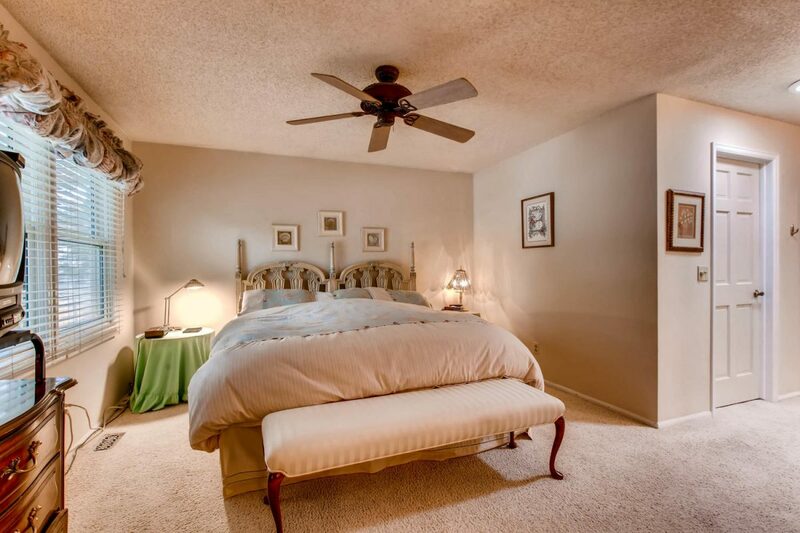 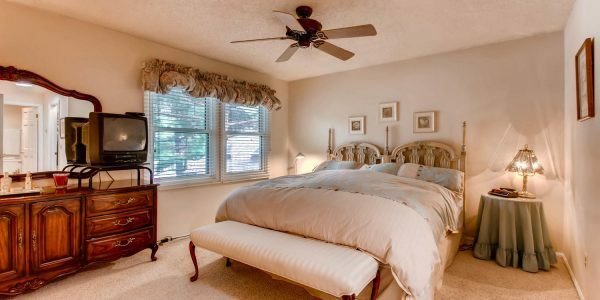 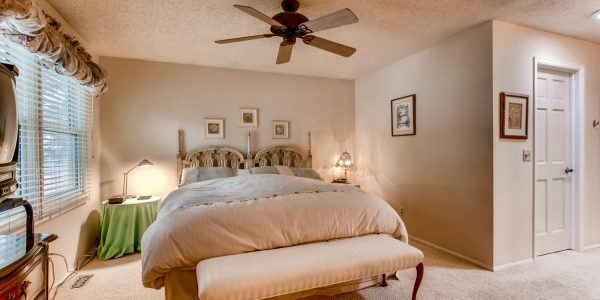 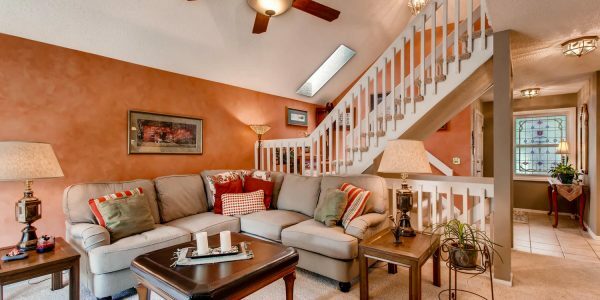 Upstairs offers a master bedroom with a walk-in closet and private master bath. 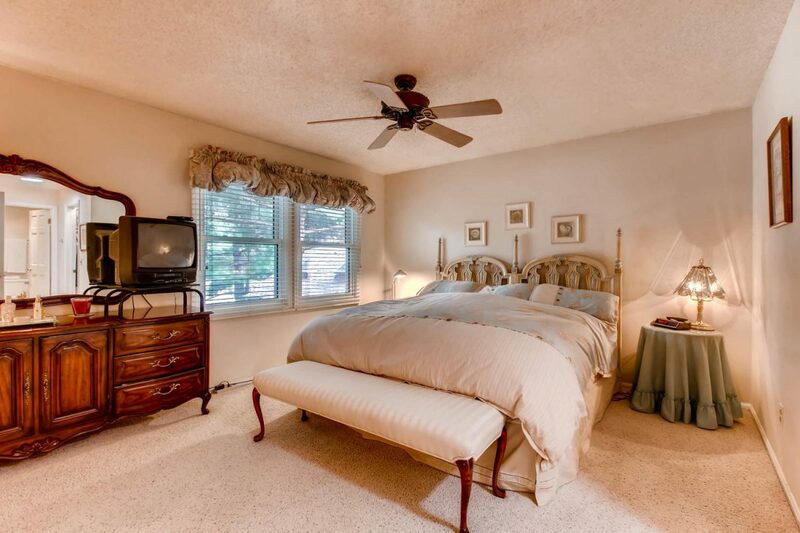 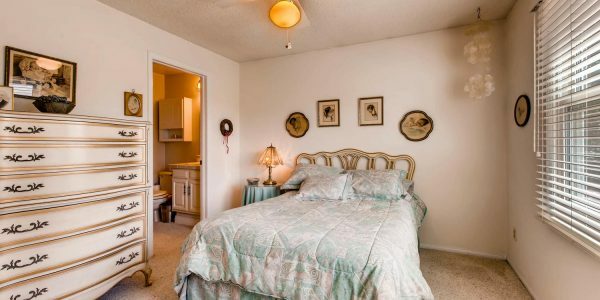 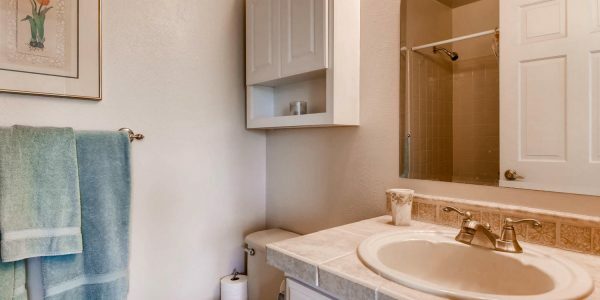 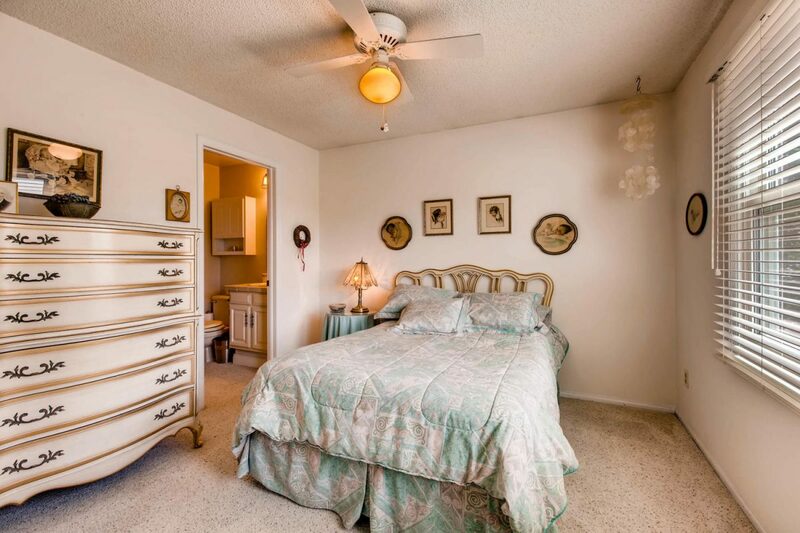 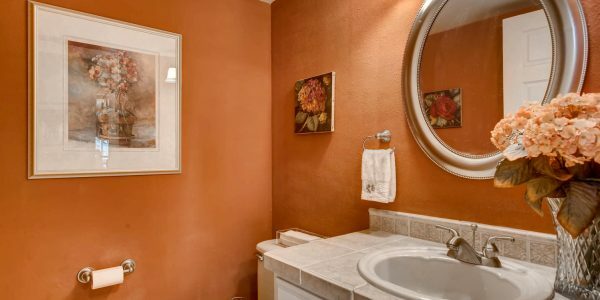 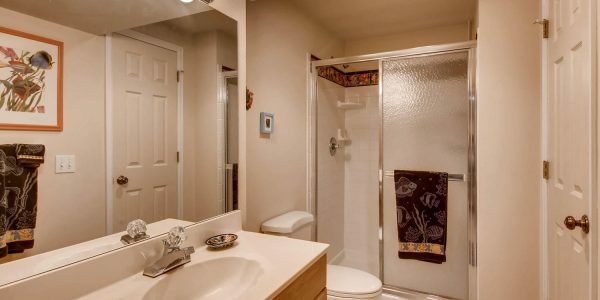 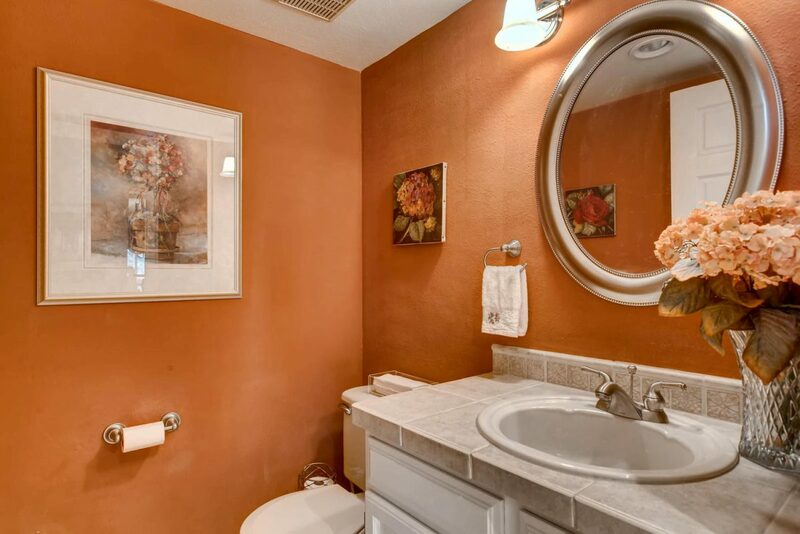 The second bedroom has views of the greenbelt and a private full bath.